Historically speaking, sales has been a male-dominated field. However, as women take on more sales roles — LinkedIn estimates that about 41 percent of sales roles are filled by women, and the number is growing — there is a growing body of evidence indicating that women can actually be more successful than men in this field. At one company, for instance, more than 70 percent of women fulfill their sales quotas, as compared to only 67 percent of men. 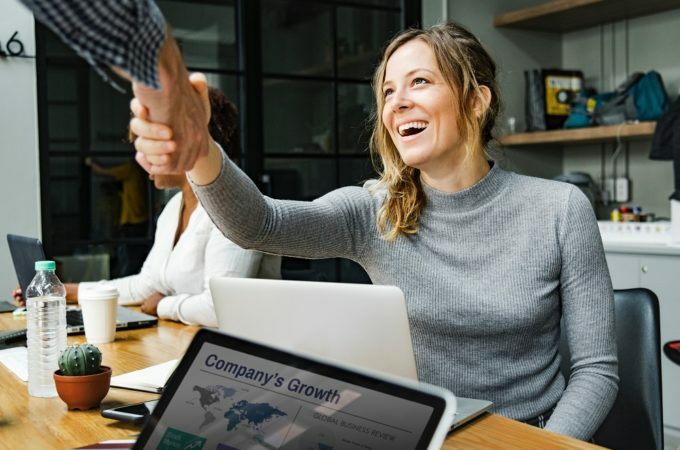 Being successful in sales isn’t a matter of women vs. men, but females do tend to have several characteristics that make them ideally suited to sales and successful in their endeavors. By playing to these characteristics and natural strengths, women can succeed in sales, meeting their quotas and increasing their earnings. Women tend to have many misconceptions about what it’s like to work in sales, which means they aren’t as likely to seek out sales jobs, and they may struggle in their roles. For example, there is a perception that to be successful in sales you need to be extroverted, almost to the point of being aggressive. Having a thick skin is also often seen as a requirement, which although it helps, isn’t necessarily the most important trait. Finally, many women think that being a good salesperson means having a big ego, and/or at least cultivating a persona that makes others think you have all of the answers to everything. While being outgoing, personable and able to handle rejection, as well as having confidence that you know your stuff, are all great qualities, they aren’t the foundation of a stellar sales career. Rather, having empathy, the ability to listen and solve problems and a willingness to collaborate and build strong relationships formed on trust and respect will actually get you much farther in your career. Given that the strengths required for a solid sales career are the same as those often associated with women, it only makes sense to cultivate and use them yourself. In fact, many of the top female sales professionals in the U.S. recommend that to be successful, women shouldn’t try to be something they aren’t — i.e., members of the boy’s club — and instead focus on being their authentic selves and cultivating qualities that make them unique and a valuable asset to their companies. For example, research indicates that women tend to have higher levels of emotional intelligence than men. This means they tend to be more aware of the emotional states of both themselves and of others. In sales, this translates into being able to regulate their emotions in challenging situations and tune into the emotional cues being presented by others. Women tend to be more aware of subtle changes in body language and other nonverbal cues, which allows them to adjust their approach accordingly and build stronger rapport with others. This good rapport also comes from women’s tendency to be better listeners than their male counterparts, which in turn creates solid relationships. The information gathered from sales intelligence provides insights that can get the conversation started, but real relationships are built upon your ability to listen to what prospects are saying and understand their problems. Your customers want to feel heard and understood — like you’re trying to help them, not just make a commission. Thanks to women’s larger Heschl’s gyrus (the part of the brain associated with listening), customers are more likely to feel heard, which in turn makes them more likely to buy. Finally, women are generally more open to collaboration than men, both in terms of improving their sales performance and in working with customers. Women sales professionals often tend to improve when they have strong mentors and are also more willing to share and collaborate with their colleagues to uncover new ideas, strategies and approaches to help everyone do their jobs better. From a customer standpoint, women tend to approach clients as partners, giving them the tools they need to solve their problems. The spirit of collaboration tends to help create stronger value propositions and more effectively overcome objections. So, while men certainly have their talents in the sales realm, women should not sell themselves, or their uniquely feminine characteristics, short. By harnessing the power of your strengths, you can become a sales leader and exceed your goals.